According to the Arctic Cat® snowmobile manufacturer, the oils on the market do not meet the specifications of their latest C-TEC2 600 snowmobile models. A campaign is currently underway to warn that C-TEC2 Synthetic Oil has been specially formulated to use in their new models. One of the key features of this new oil is its low viscosity compared to their standard APV oil, allowing superior performance at low temperatures. The viscosity of C-TECH2 is lower than the Arctic Cat® APV. 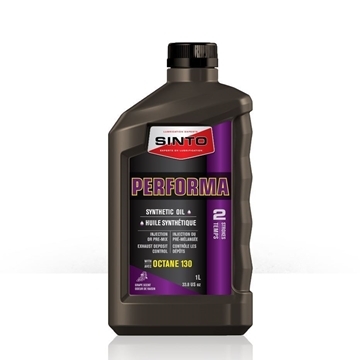 Good news, Sinto's Performa Oil meets the viscosity requirements of engines requiring C-TEC2 oil because its similar viscosity. Our oil meets and exceeds all performance criteria and will do an exceptional accomplishment in this equipment. To find out more about grease or advice on choosing your lubrication products, do not hesitate to contact one of our SINTO Lubrication Experts.